This week, we celebrated Bald Eagle Week to drive awareness of bald eagle conservation and to highlight our incredible partners who educate and support eagle research. As of today, we have raised over $4,500 that will be MATCHED to help both Raptor Resource Project and Institute for Wildlife Studies. Our campaign officially ends on Sunday so if you would like to buy a limited edition “Bald Eagle Week” shirt, your contributions will continue to be matched. 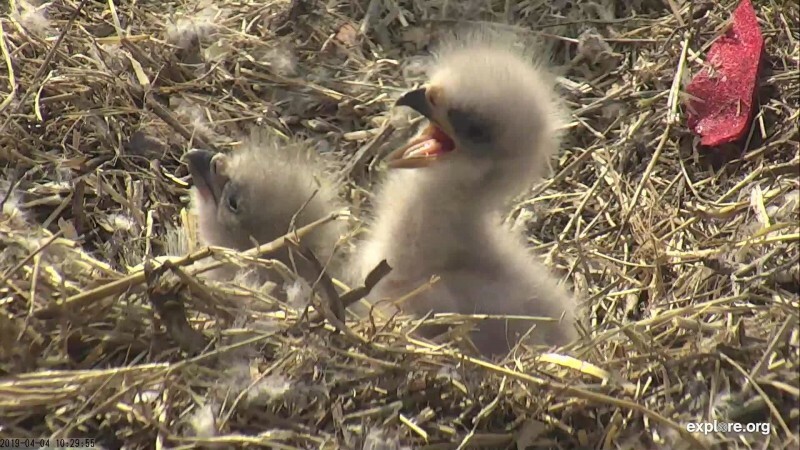 We celebrated a lot of hatches this week with the Two Harbors Eagles welcoming two new eaglets! 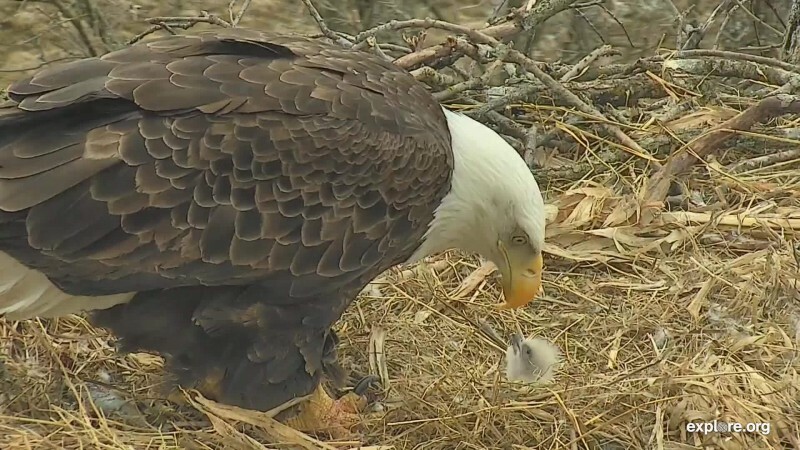 The Decorah Eagles have welcomed their first eaglet to the nest! It was a bittersweet week at the Decorah North nest. 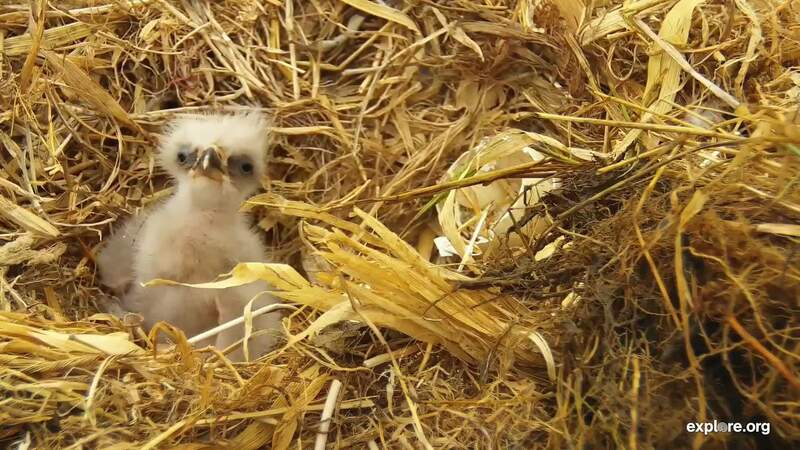 At the beginning of this week, the Norths welcomed two newly hatched eaglets. Unfortunately, one eaglet has passed away but there is still one very healthy eaglet on the nest. 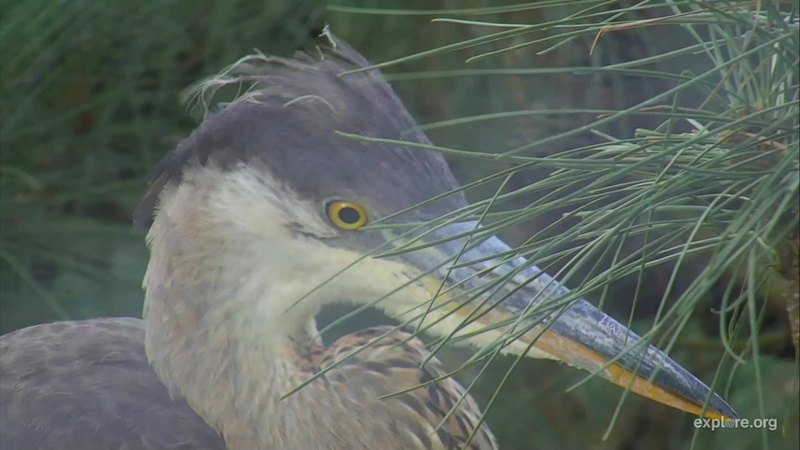 The Great Blue Heron pair have recently laid two eggs in their nest in Maryland. Watch now!